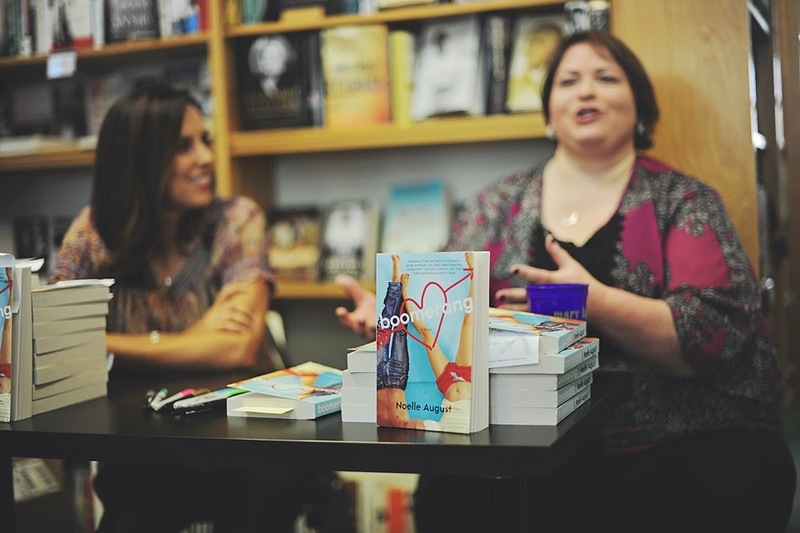 Boomerang Review + Launch Party + Q&A with the Authors and Giveaway! What happens when you wake up one morning with no recollection of what happened the night before or of where you are? Oh! And did I mention your clothes are scattered all over the place and there is a very gorgeous and very naked guy right next to you? Well this is what happened to Mia, the night before she was to start her internship at Boomerang, at online dating service where she is hoping to land a position in the marketing department. Mia has no time to try and piece the night together, she needs to get ready and as presentable as possible to make it to work on time (arriving late on your first day probably not the best impression after all), she would figure out this whole mess, with … what’s his name? Yup! She couldn’t even remember his name. Well later turns out to be very soon when one-night-stand guy, Ethan, is also starting at Boomerang, for the same internship, going for the exact same job Mia is… oh boy! Ethan can’t afford distractions of any kind, he really needs this job, swimming in debt and with no savings he must do his best to impress the boss and get hired. The attraction between Mia and Ethan is undeniable though, and things are usually even more tempting when they tell you they are not allowed. On their first day Ethan and Mia, who pretend they have never met each other before, are told that fraternization in the office is completely off limits, Oooops! Too late for that… but both Mia and Ethan are sure they can be professional and forget about that torrid night they seem to remember nothing about, especially because their job depends on it. Well easier said than done…. Boomerang is fun, hot and impossible to put down. You can’t help falling in love with the characters, and the story itself. There are some hilarious moments that literally had me laughing out loud, and some super hot scenes that had me blushing. Overall though what I liked the most was the ever present fact that no matter how much one can try to fight your feelings, eventually you just got to give in to them, and weigh how much are you willing to give up for love. 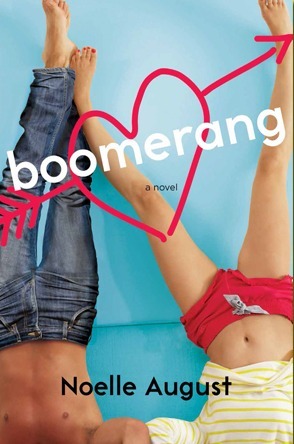 Boomerang was light and easy to read, a feel good book. I grabbed it one afternoon, made myself a pitcher of passion fruit tea and breezed through it. Love Love loved it! Can’t wait for the next 2 books! We had the opportunity to conduct a brief Q&A with Veronica and Lorin and would love to share it with you guys. Using a pen name for Boomerang, was it only a decision based on wanting to do something different that encompassed both you and Lorin, or did you feel you had to separate this series from what you publish under your name, since it’s YA and aimed to a younger crowd? All of those reasons actually came into the decision-making. It definitely felt right to separate this series from my work under my own name because 1) Lorin wrote half of it, and 2) this is very different than my own writing. What Lorin and I created together is its own special thing and it deserved its own special name! someone else? Do you enjoy writing more than editing or vice-versa? Great question! I actually love editing and writing equally, especially when the editing involves a deep story development component—helping writers build amazing stories from the ground up. It’s just a different way to express my creativity and storytelling mojo. Still, getting to create one’s own character, express a specific voice on the page, construct sharp scenes that move a reader somewhere: that’s pretty unbeatable! In terms of what it felt like to be on the other side of the editing process, I’ve been fortunate in that I’ve been working professionally as a writer for a long time, which means I’ve had a lot of awesome editors along the way. I can be as thorny about criticism as the next writer, but ultimately, I know a good editor has the goal of bringing out the best in a project, so I was happy to have our editor’s guidance, as well as Veronica’s feedback, too! What are the aspects you enjoy most in collaborating? And could you tell us a bit about the writing process between you and Lorin? We had a lot of fun together! I've loved the humor and heart Lorin brings to the table. As for the writing process, we switch off points-of-view, so Lorin will write one scene, then I take the next, and we trade back and forth. What can you tell us about Rebound? I just like to pretend it’s a secret for now). Let’s just say they’re thrown into close proximity and, like Mia and Ethan, absolutely should keep their hands off one another! It’s a little more intense than Boomerang in some ways, a little more nail-biting, but, we hope, just as fun and satisfying! others. REBOUND skewed a little darker, but I love it just as much. 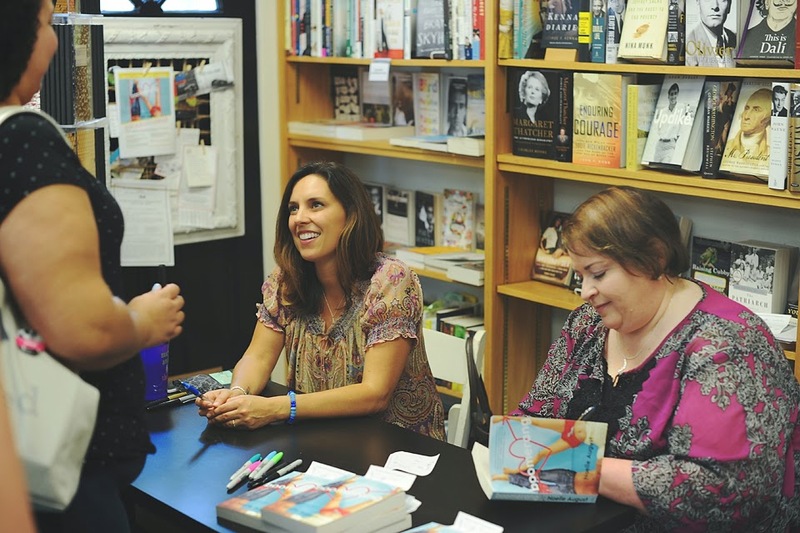 Veronica and Lorin held their launch party at Inkwoods Bookstore in Tampa and being in Miami well I just had to go! Veronica Rossi is one of my favorite authors, if you haven’t checked out her YA series Under the Never Sky then you must! Anyways what’s 4 hour drive to Tampa when you get to hang out with such great authors? It’s not the first time I meet Veronica, this was actually the 3rd time in 2014… I’m gonna miss her the rest of the year now…Ha! My girlfriends and had a great time and were happy to celebrate Boomerang’s release with Veronica & Lorin. Part of the proceeds of book sales at the launch went to Bess The Book Bus, an awesome project that brings books and a place to read and discover to under privileged kids. 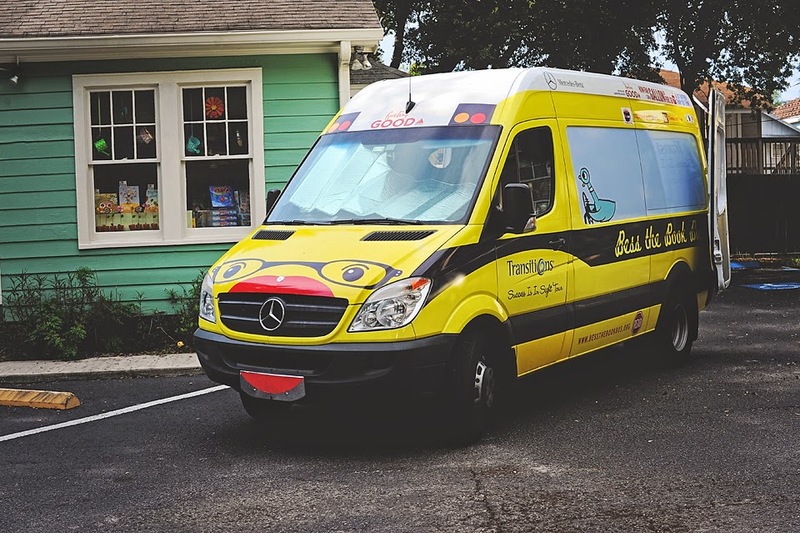 You can find out more about Bess the Book Bus at http://bessthebookbus.org and while you are there consider making a donation to this super worthy cause even the smallest donation counts, $1 can buy up to 3 new books! 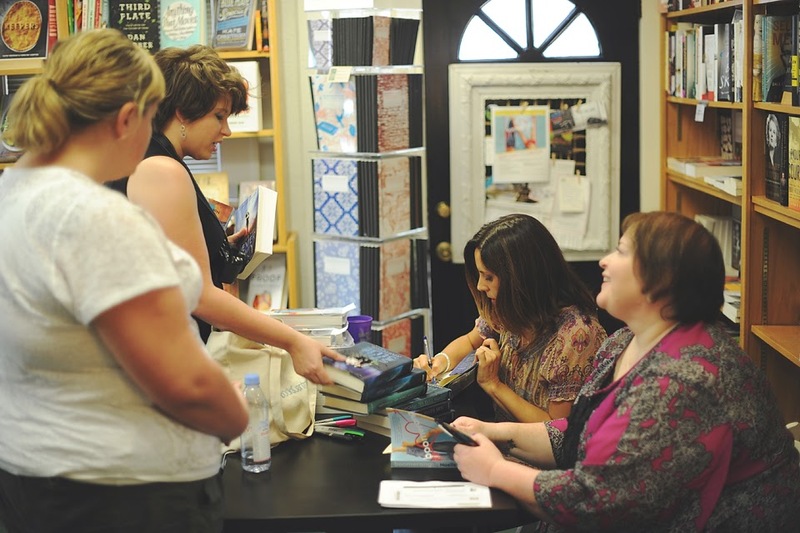 Here are some pictures from the signing and party, don’t forget to enter our giveaway for a chance to win a kindle version of Boomerang! 4 hour drive to Tampa here we go! 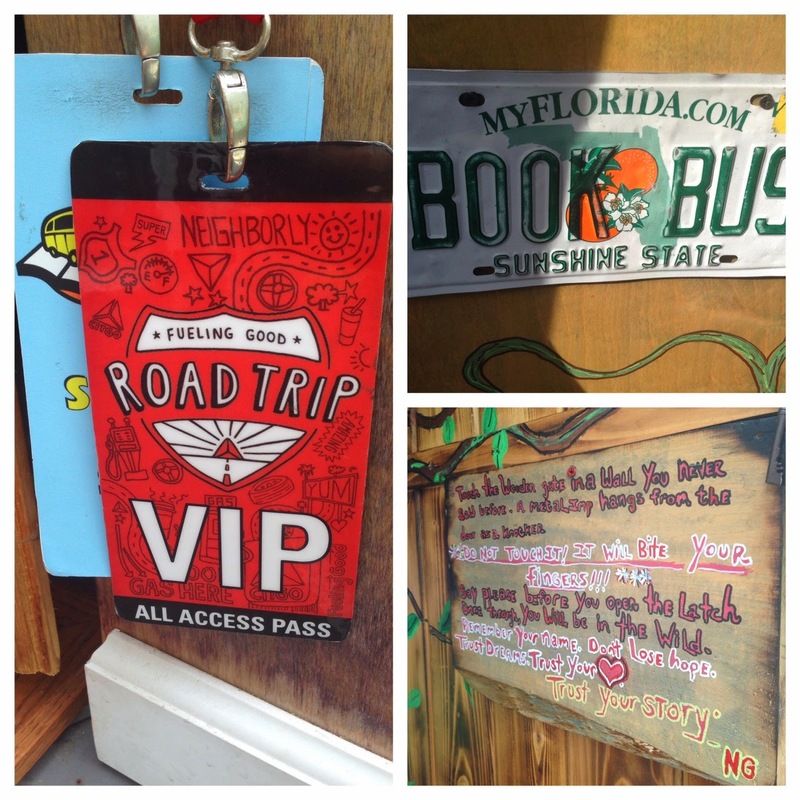 Meet Bess The Book Bus! 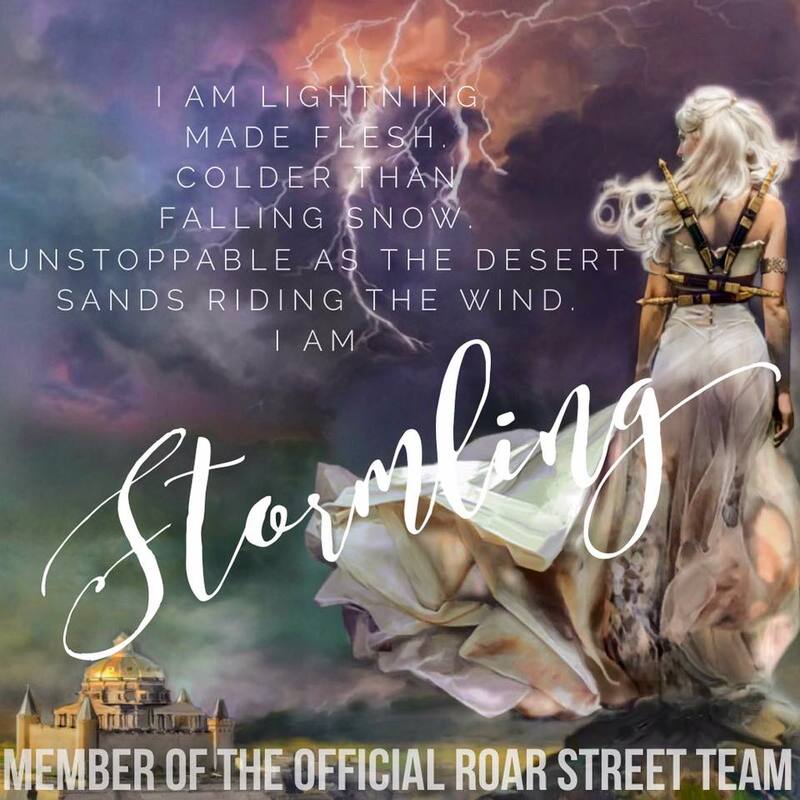 Definitely Throne of Glass by Sarah J. Maas!